The Dakota GTX is a rugged boot perfect for long trips on all types of terrain. The Dakota is constructed with all of the technologies that set our boots apart. 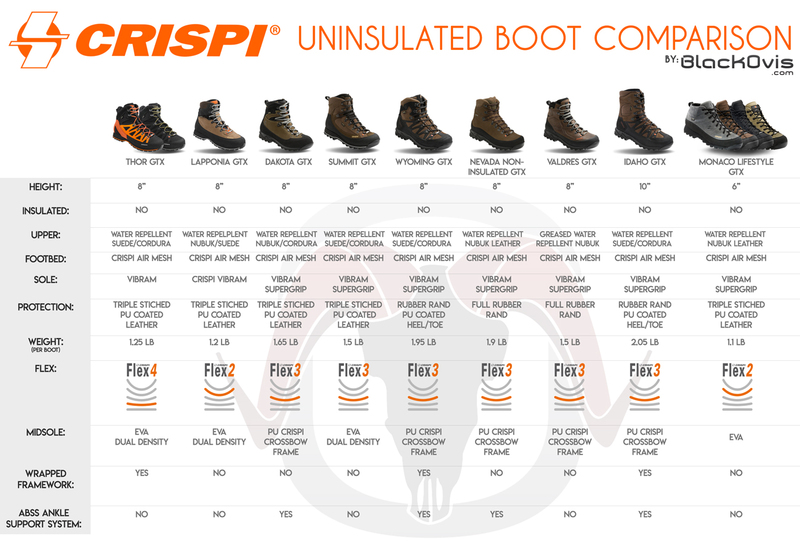 including WFW (Wave Wrapping Frame) technology, Super Grip outsoles that provide traction on any terrain, our CCF Crispi® Crossbow Frame which provides increased stability and our ABSS ankle support system for added comfort and protection. This non-insulated waterproof hunting boot uses a Gore-Tex® lining making it fully waterproof and extremely breathable. The PU coated leather rand is stitched on to prevent peeling in rocky terrain.